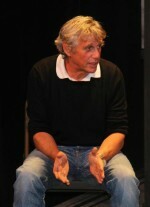 The writer/director of the Playhouse's 2012 production, The Screenwriter's Daughter, Larry has been a Producer and Writer for Television for the last thirty years. He's best known for his work on Beverly Hills, 90210 for which he wrote, produced and executive produced one-hundred twenty-eight hours from 1993-1998, the zenith of the show's popularity. From New York originally, he immigrated to Canada with family in 1970 and quickly became a dynamic contributor to the Canadian theatre world as an actor, playwright and artistic director of the Homemade Theatre Company of Toronto, a seminal performance group of the 1970's. Besides writing for stage, screen and television, Larry is a published poet and lyricist. During the last 15 years Scott has been working with the Vineyard Playhouse as an actor (Retreat from Moscow, Proof, Our Town, Much Ado, 12th Night), as a director (Henry 4, Laramie Project; Ten Years Later), as a writer (Outcasts: The Lepers of Penikese Island), and fight choreographer (Blowin' of Baile Gall, Complete Works of Shakespeare Abridged). Scott is a founding member of Shakespeare for the Masses, a Frequent Fabulist, and Professor Projector. The Playhouse has always been an artistic home for Scott and he is thrilled it will continue to be so. 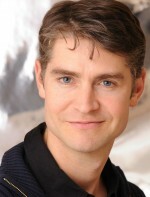 Scott has also been working with Tectonic Theatre Project since 2005 as an actor in 33 Variations (starring Jane Fonda), The Laramie Project, The Laramie Project Epilogue; Ten Years Later, The Dead Man's Curve , as a collaborator creating new works (including the above), and as a certified teacher of Moises Kaufman's Moment Work. Currently he is part of the Tectonic team building Andy Paris's Square Peg, which is an interview based play exploring the autism spectrum. 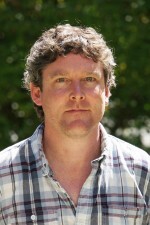 Elsewhere, Scott has also played major roles at the New York Theatre Workshop, Arena Stage, The Arden Theatre, Arkansas Repertory, Commonwealth Shakespeare, Hartford Stage, The Wilma Theater, The Mint, Nevada Shakespeare in the Park, DC's Studio Theatre, New Repertory, The Geva, The Olney, the Metropolitan Playhouse, Portland Stage, Cincinnati Playhouse, New Jersey Shakespeare, Urban Stages, and Trinity Rep among others. Scott got his MFA in Acting from Brandeis University and trained with Shakespeare and Company, working in their much acclaimed education department. 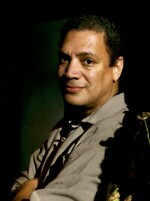 He has developed residency programs for lower, middle and high school students with Brooklyn Academy of Music, Harvard, the Shakespeare Society of New York, Lehigh University, the Times Square Group, East Side Montessori, and with Stages on the Sound; where as Director of Education, he has created an ongoing program that is providing year-long arts residencies to 21 schools in Brooklyn and Queens and providing over 5000 students with programming in film, Shakespeare, and playwriting. Currently, Scott's theatrical introduction to Shakespeare for students reluctant to read the Bard's plays (Shakespeare in ACTion) is making its 10th tour. He is Emmett's dad.